Some 77% of broadband fixed subscriptions globally are now served by either fibre or cable networks, according to research by Point Topic. According to the research outfit’s Global Broadband Statistics report, over half of broadband subscriptions in each of over 40 countries studied are now covered by full fibre, ‘fibre-fed’ copper, or cable. Leading markets include Singapore, with 97% of broadband subscriptions fed by these technologies, China, with 89% and the US, with 87%. In the UK, 55% of broadband subscriptions are fed by full fibre, fibre-fed copper or cable. 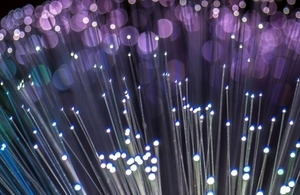 Fibre-fed technologies that include fibre-to-the-home, fibre-to-the-building, fibre-to-the-cabinet, VDSL, VDSL2 and Gfast – a DSL technology for short-loop connections – account for 57% of subscriptions across the countries studied, or 530 million connections. VDSL and Gfast have been responsible for most of the growth, with over 30 operators globally trialling Gfast. Cable, including HFC, accounted for 20% of all fixed broadband connections. “We are finding that customers across most global regions increasingly prefer faster broadband services delivered over fiber and cable platforms, as opposed to ADSL. This trend will continue as more bandwidth-hungry young consumers become paying decision makers, even though superfast 4G LTE and 5G mobile broadband services will compete for their wallets,” Point Topic research director Jolanta Stanke told the Broadband Forum.